As Scott Drew burned his third timeout with just over 10 minutes to play in the second half of Tuesday night’s game against Kansas, you could feel the air being sucked out of the Ferrell Center as the inevitability of defeat began to set in. The Bears had just watched their eight-point lead evaporate in a matter of three minutes, and from that point on, the outcome never felt like it was in question. The Jayhawks were able to leave Waco with their seventh straight win over Baylor despite attempting 15 fewer field goals and Wayne Selden apparently forgetting how to play basketball just before tipoff. 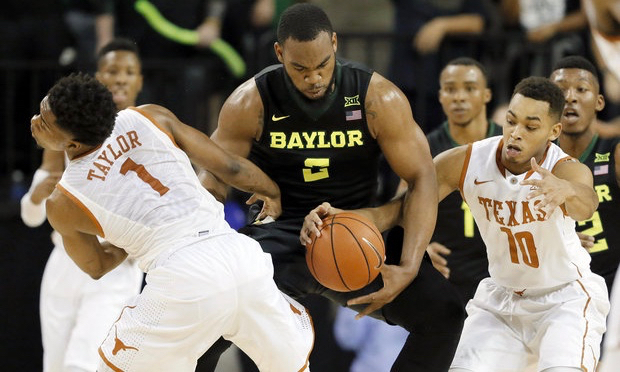 Tuesday night marked Baylor’s fourth loss in the last five conference home games. While the 66-60 defeat was certainly a step up from the 102-74 thrashing they endured at the hands of the Jayhawks in Lawrence earlier this season, Tuesday night was definitely a game Baylor should have won. The Bears came in hot following back-to-back wins over top 25 opponents in Iowa State and Texas behind the 27 and 24-point performances by Coach Drew’s newest addition to the starting lineup (took him long enough) Johnathan Motley. Motley’s monster week earned him national player of the week honors, and he just might be the elusive missing piece they need to solve the perplexing puzzle that is the Big 12 Conference. Motley struggled against Kansas’ frontline of Perry Ellis and Landen Lucas, as he shot just 3-10 from the field. His shooting performance mirrored the rest of his team as the Bears shot a combined 36% from the field as a group. This lackluster shooting display came just three days after a 14-point road win over Texas in which the Bears caught fire shooting 63% from the field. I’m not sure if Baylor fans should feel encouraged by the fact that they played Kansas down to the wire and kept it competitive or distressed that they let a game that they probably should have won slip through their fingers. This season has been filled with peaks and valleys for Baylor, and it is not uncommon for the team to experience both extremes within a few days of each other. With the calendar about to flip over to March, no fan base in the Big 12 is less certain of exactly what their team is than Baylor. There are a number of reasons why Baylor Nation is hesitant to go all-in and believe in their team. The first and most obvious is the aforementioned inconsistencies that have plagued the Bears all season. After starting the season 13-0 on their home court, the Bears have now lost 4 of their last 6 games at home. In contrast, Kansas has lost just four total home games since February 2007. In a league as grueling as the Big 12, defending your home court is an absolute must if you want to remain in contention for the conference championship. The positive side of Baylor’s inconsistency (if there is one) is their short-term memory and their ability to not let an awful performance in one game carry over to the next. Just a few weeks go, the Bears suffered an embarrassing 18-point loss at the hands of Tubby Smith and unranked Texas Tech in Waco and bounced back to beat 13th ranked Iowa State just three days later. This type of inconsistency could be their undoing come tournament time when they would need to compile six strong performances in a row in order to cut down the nets in Houston. Another component that every championship team has that Baylor struggles to find is a star player who can take over down the stretch in big games. The other elite teams in the Big 12 all seem to have this player. Oklahoma has Buddy Hield, Kansas has Perry Ellis, and West Virginia has Jaysean Paige. All three of these guys have shown they can put the team on their back and come through in the clutch. Watching Baylor play feels a lot like watching this year’s Boston Celtics team. Both teams have depth and a number of solid players, but there is no obvious answer as to who their best player is. Six weeks ago I said that Johnathan Motley was the Bears best player and should be the primary weapon they build their team around. Motley’s play over the last two weeks has only solidified that stance in my mind, but there is a case to be made for a few others being the go-to option in the final minutes of close games. Taurean Prince leads the team in scoring with 15 points per game and has the ability to create his own shot in a way that very few of his teammates can. Lester Medford showed off his inner Ray Allen as he knocked down a step-back three at the buzzer to knock off Texas Tech in Lubbock earlier this season. Medford shoots a solid 38% from three and his calm demeanor in high-pressure situations make him an attractive option for big game situations. With just three regular season games remaining, the jury is still out on whether or not Baylor has a “best player” and whether or not Scott Drew knows who it is if they do. 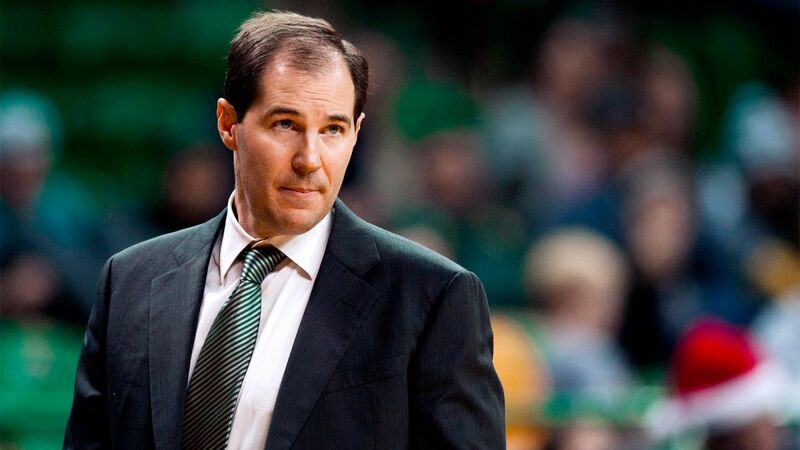 There is no more divisive discussion topic among Baylor fans than Scott Drew and his ability to coach. On one hand, Drew has elevated Baylor’s basketball program from a glorified community college team when he first took over in 2003, to a nationally competitive team that went to two Elite Eight appearances in three years from 2010-2012. On the other hand, nothing in my life is more agonizing than watching Scott Drew coach. It took him almost an entire season (and a conveniently timed illness by Rico Gathers that forced his hand) for Drew to move Johnathan Motley into the starting lineup. He refused to switch out of a zone defense even after Buddy Hield, Isaiah Cousins, and Jordan Woodard shot a combined 12-19 from three. And perhaps the most frustrating part of watching any Baylor game is watching Drew burn through his timeouts the same way a 3-year-old burns through tokens at Chuck E. Cheese. He’s essentially the polar opposite of John Wooden with regards to game management and adjustments. At one point in Tuesday’s loss, Drew decided to use a lineup that shouldn’t be allowed to exist in a pickup game, much less see the court in a game against the second-ranked team in the country. It included Terry Maston, Rico Gathers, King McLure, Jake Lindsey, and Ish Wainwright. Any time you have a lineup that leaves 4 of your top 5 scorers on the bench, it’s time for a new lineup. As difficult as it will be for his players to play well for six consecutive games in March, I have even less faith in Drew’s ability to coach well for six consecutive games in March. Okay, that’s enough Scott Drew ranting for one column. Despite all of their flaws and obstacles they would need to overcome, it is still not outside the realm of possibility that this Baylor team can make a deep run in the NCAA Tournament in a year in which no team has been consistently dominant and the field appears to be wide open. The Bears have had several games this year where everything has clicked and the team has looked as good as anyone in the country. If they come out and play the way they did against Texas in Austin, or both games against Iowa State, they are a threat to beat any team in the country. If they play the way they did against Oklahoma or Texas Tech in Waco, their postseason will be over faster than you can blink. At this point, there is no NCAA Tournament scenario for Baylor that would surprise me. I could see them getting upset in the first round for the second year in a row. I could see them making the drive down Highway 6 to Houston in early April. Ladies and gentlemen, welcome to March Madness.